The following books give an excellent overview of the birdlife of Holy Island, providing a status list for all species recorded and a good guide of what to expect at a given time of year. The old bird observatory at Monkshouse is mentioned extensively in bill Oddie's "Little Black Bird Book"
A few of the localities I visited most are described below. At some of these locations the state of the tide will have a very significant effect on the birding. Depending on the species and type of activities planned (and not least one's own safety) the tide must be taken into consideration. 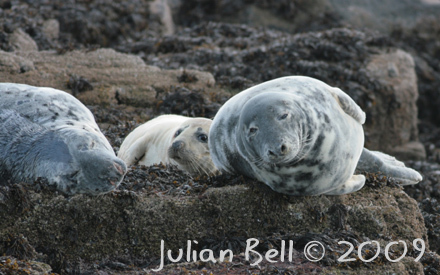 Some further information about seawatching can be found here. This locality provides year-round interest, although it is possbily best known for its wintering divers, grebes and Purple Sandpipers. A respectable number of rarities have turned here with Isabelline Wheatear, Dusky, Pallas's and Yellow-browed Warblers to name but a few. 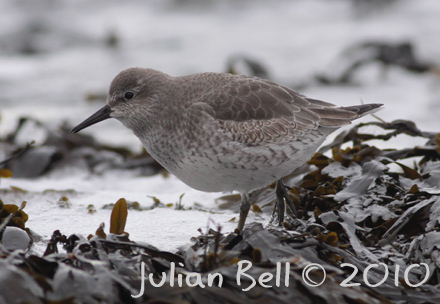 Skuas, terns and shearwaters are all regular. 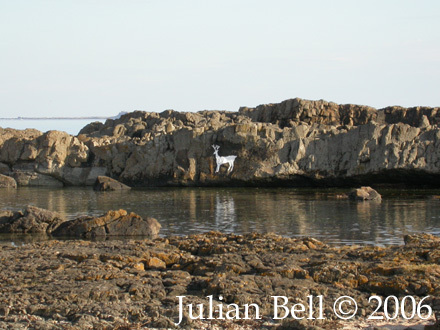 With well over 200 species from our garden at Stag Rocks the birding potential of Stag Rocks cannot be underestimated. 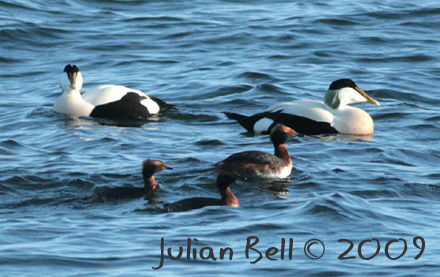 Wintering seaduck, divers and grebes are all well represented. Stag Rocks, Bamburgh. 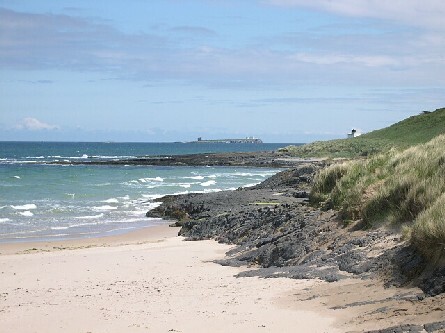 The Farne Islands can be seen in the background. The dunes south of the castle and north towards Budle Bay hold Grasshopper Warbler, Sedge Warbler and Stonechats as well as plenty of Meadow Pipit and Reed Bunting. In winter Short-eared Owl and Water Rail are regular. During suitable weather "anything" can turn up in the woods, bushes and copses in the dunes. There are a number of localities within easy walking distance of Bamburgh / Stag Rocks which are well worth a vist. 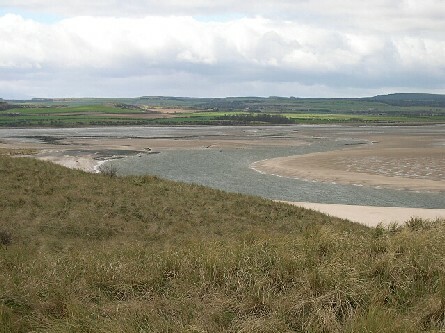 Budle Bay to the north and the beaches towards Seahouses to the south. 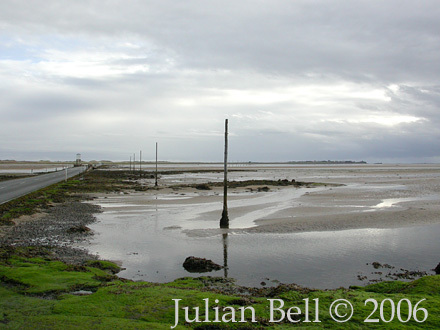 Between 1985 and 1990 I performed regular wader counts year round along a stretch of coast approximately 1.5km long. Data from these counts were used by the RSBP to develop coastal plans. Whenever I am back in the area I still conduct spot checks to keep an eye on developments. 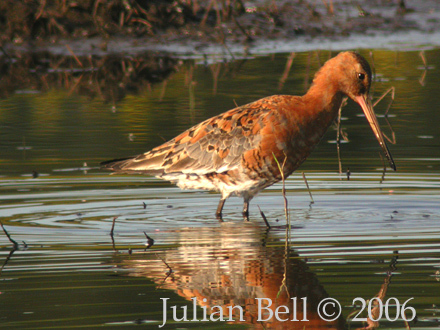 The main wader species recorded are listed below. Click on the English species name for further information. 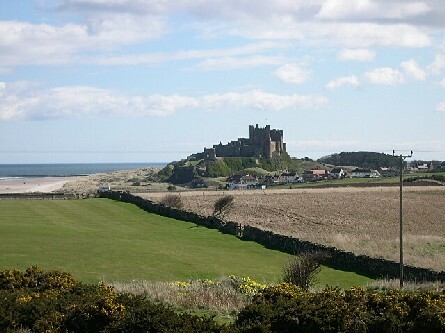 Between Bamburgh and Seahouses is a group of houses nestled on the foreshore - Monkshouse. 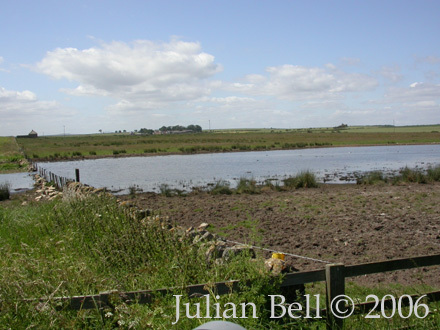 Over the road on the landward side is Monskhouse Pools; after many years abscence it seems these pools may be back to stay - brilliant news for birds and birders as permanent areas of freshwater such as this are not common near the coast. These pools have a superb history for attracting waders and other species and being close to the road should not be passed without being checked. Monkshouse itself used to be a bird observatory - made famous by the bird artist Eric Ennion and mentioned extensively in Bill Oddie's hilariously funny "Little Black Bird Book". Black-tailed Godwit, Monkshouse Pools, 17 July 2006 Little Ringed Plover, Monkshouse Pools, 17 July 2006. 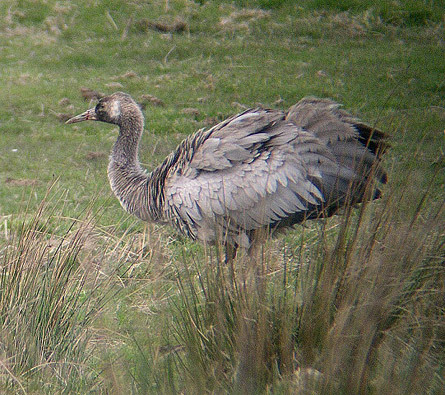 This individual was ringed (ring just visible on right leg in this picture). 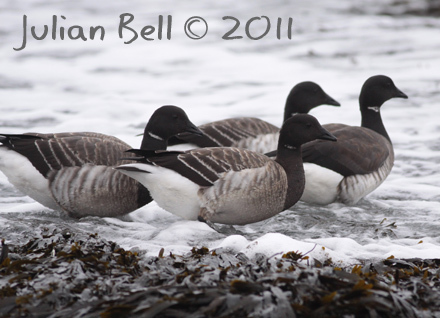 Pale-bellied Brent Geese - a North Northumberland speciality. These islands are the most famous tourist attraction in the area and are visited by thousands of people a year. 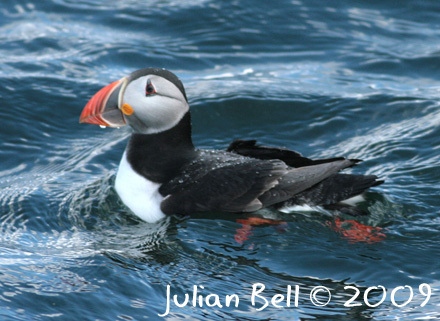 Huge numbers of seabirds breed there including over 50,000 pairs of Atlantic Puffin. Good views are guaranteed! 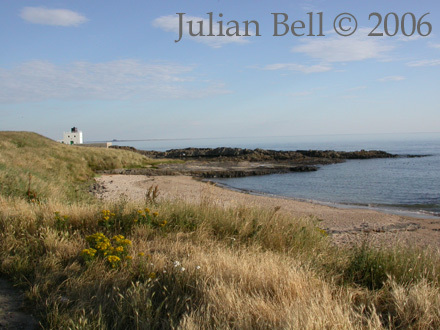 I have always used Billy Shiel's boats, the "Glad Tidings" on my visits to the Farnes. Details of his trips can be found here. 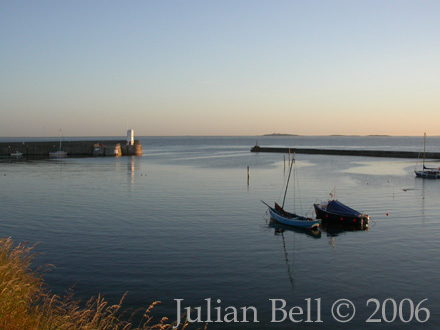 Seahouses is a holiday village with a harbour - it is here the boat trips to the vast seabird colonies on the Farnes Islands are based. 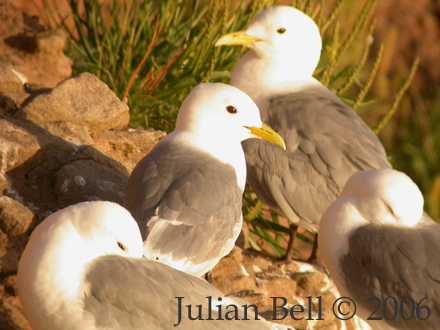 The harbour itself is worth checking for rare gulls at any time of year, especially so in winter. Glaucous and Iceland Gulls are reasonably regular and Ivory Gull has also been recovered here. It remains to be seen whether or not the harbour will remain as attractive to these birds with the demise of the fishing fleet. 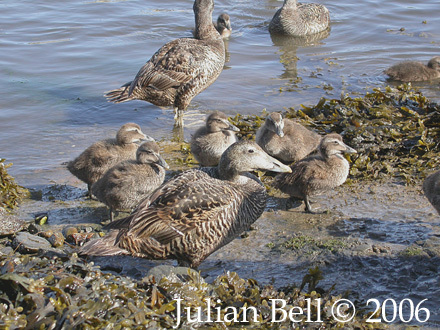 The Eiders in the harbour can be very tame and will home in on anyone coming down to the waters edge with food; many of them will even take food from the hand. 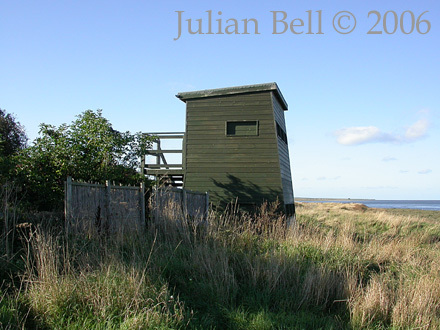 A short walk to the south brings one to Annstead point where a seawatching hide can be found - this hide is owned by the North Northumberland Bird Club. Annstead is one of the best seawatching localities in North Northumberland and it is only lack of coverage which keeps it out of the "news". Good numbers of skuas and shearwaters can be seen here under the conditions. More details about seawatching at Annstead can be found here. Crossing the Golf Course (keeping to the public right of way) takes one onto the beach where there are usually a variety of waders, gulls and terns. 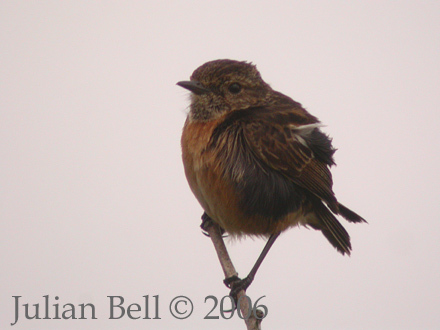 The Golf Course itself attracts pipits, wagtails, wheatear and the like; Sand Martin breed around the old quarry pools which occasioanlly hold some wildfowl. Over 312 species have been recorded on Holy Island including a host of rarities - indeed, a Roller was present on my most recent visit on 09 October 2006. Famed not just for its birdlife but for its rich history Holy Island and the Lindisfarne nature reserve is a "must" for birders visiting the area. The island has become a real mecca for "normal" tourists too but many of the good bird areas remain relatively undisturbed. There is year round interest and although it is possible to cover parts of the island quite quickly one could easily use a few days here. 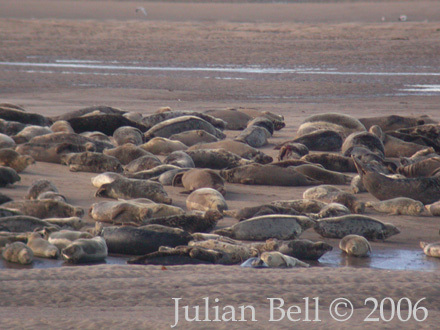 The numbers of Common Seal resting on the sandbanks (see bottom of page for picture) is often quite large - and their "singing" can be heard over long distances. Extreme care should be taken to cross the causeway during the safe crossing times indicated at each end of the causeway. The tides are deceptively strong and there is a tidal range quite unfamiliar to those from many parts of the world . 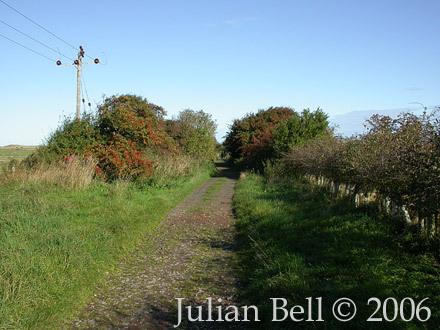 The start of the Straight Lonnen - a must do if there are passerines on the move. The Lough is the most permanent area of fresh water on the island and can be comfortably viewed from the hide there. My "standard" route invloves going down the "Straight Lonnen" (migrant passerines), then heading through the dunes (Short-eared Owl) to the North Shore (waders) and on to Emmanuel Head for a seawatch before heading to the Lough (wildfowl) and back into the village via the "Crooked Lonnen" (more migrants). From here I generally check the Rocket Pool (waders) and then the Heugh (grebes in season) and, if time permits, the Churchyard and other gardens in the village. 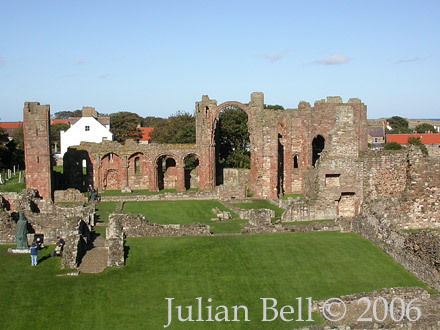 There is a lot more to Holy Island than this route and it is quite possible to leave the crowds even further behind by following other routes. Another vantage point over the mudflats this location is one of the better ones in the area for Pintail. The hide is worth a visit but is often quiet at high tide - it tends to perform better on the flood or ebb. 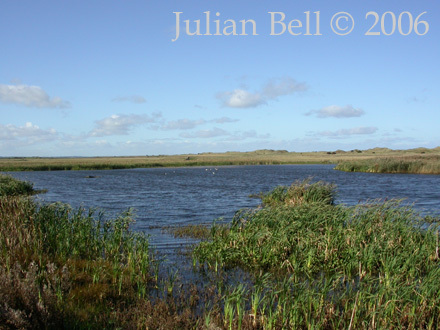 Budle Bay has a lot to offer the birder; thousands of wildfowl and waders form the mainstay of the birding. One can park by the white railings by the roadside and scan the main apart of the bay without walking a step. 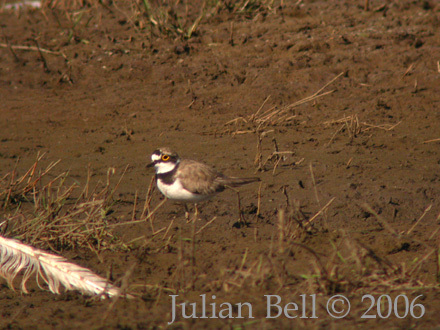 Care should be taken not to disturb the birds on the mudflats. The "Lime Kilns" are another good vantage point and if one heads south / east from here towards Budle Point the large gull and tern roosts can be viewed. The mudflats hold good numbers of geese (largely Greylag and Pinkfeet), Shelduck, Wigeon, Teal and Mallard. Other wildfowl such as Pintail are inevitably present if one scans carefully through the flocks. 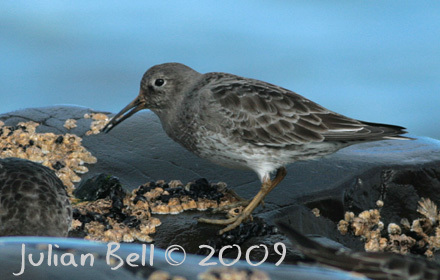 The main wader species are Dunlin, Common Redshank, Ringed Plover, Red Knot, Bar-tailed Godwit and Grey Plover. In season many other wader species turn up with Greenshank, Spotted Redshank, Little Stint, Black-tailed Godwit and Curlew Sandpiper all regular - although one may have to work for some of these species. 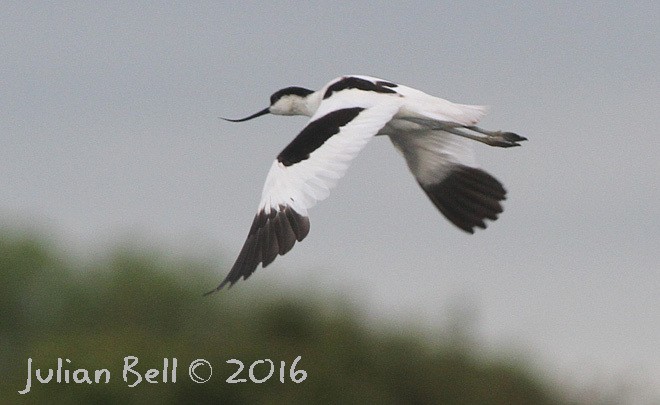 Avocet has been recorded here more than once and Little Egret is becoming more regular here. Towards Budle Point large gull and tern roosts form and are worth scanning through for rarer species: Little Gull, Black Tern and Roseate Tern are all annual. Little Tern probably breed in the vicinity as they are often to be seen feeding in the bay along with the more prolific Sandwich, Common and Arctic Terns. With so many waders and wildfowl present the bay attracts its fair share of raptors with Peregrine and Merlin perhaps the most regular species. It is within easy walking distance of Stag Rocks at Bamburgh and the two places can easily be combined in a days birding. 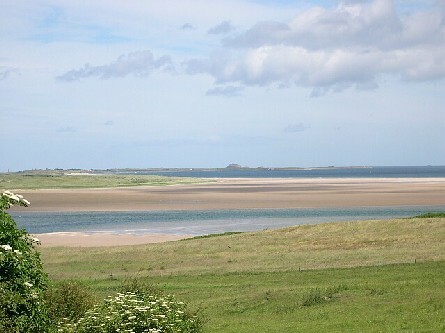 View of Budle Bay from "the white railings"
Ross Back Sands lie between Budle Bay and Lindisfarne (Holy Island). 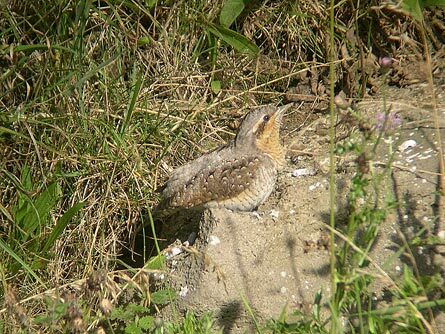 The miles of sandy beaches are worth a visit in their own right but birders have plenty of other reasons to visit this area. 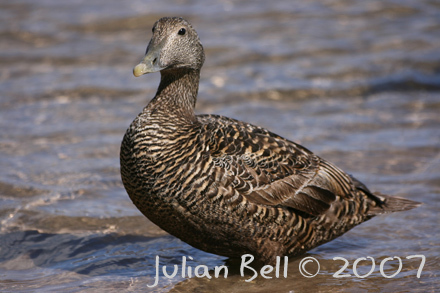 The shallow beaches are home to plenty of seaduck, divers (of three species) and grebes (Red-necked and Slavonian are the commonest but both Great Crested and Black-necked have been recorded). Thousands of wildfowl and waders can be viewed from both ends of the beach. 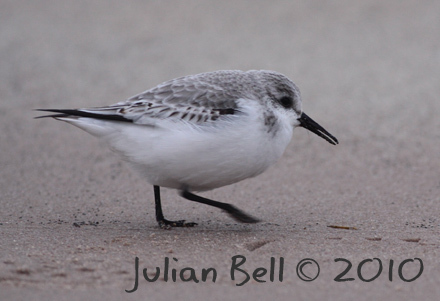 Sanderling are very common here and it is a typcial winter sight to see them scampering up and down the beach in front of the waves. The dunes and beaches are home to a range of species, although wintering Snow Bunting and Shorelark are the two species most birders associate with the area. Short-eared Owl, Merlin and Peregrine are all regular in winter. Harriers are less regular, though Hen, Marsh and Montagu's have all been observed here. 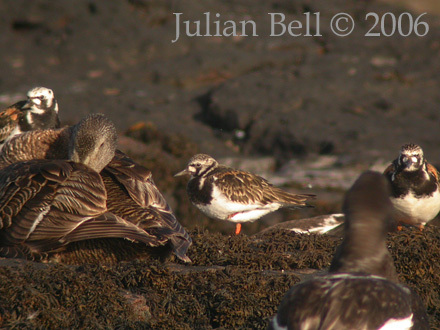 Depending on the species one is after the state of the tide can be critical; care should be taken not to disturb roosting birds at the various high tide roosts. The tip of Ross Back Sands nearest Holy Island can also become cut off at high tide, although not dangerous one must either wade back to the mainland or wait until the tide goes out again. This island lies just of the coast near Amble. 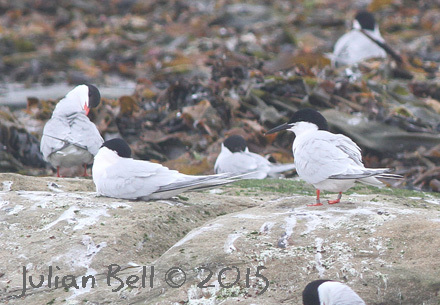 For birders the main attraction is the breeding colony of Roseate Terns which nest there. However, most of the species one sees on the Farne Islands can also be seen here including the crowd-pulling Puffins. Boat trips run from Amble Harbour and take about an hour to go around the island - but note that these trips do not land on the island. Coquet Island is well worth considering not just for the Roseate Terns but also if one is short on time and cannot spend a few hours doing a boat trip. Although not in North Northumberland Newbiggin is included here as I lived here for a few years and had my eyes opened to the true potential of the place. A vast array of rairities have occurred here, too many to list exhaustively. 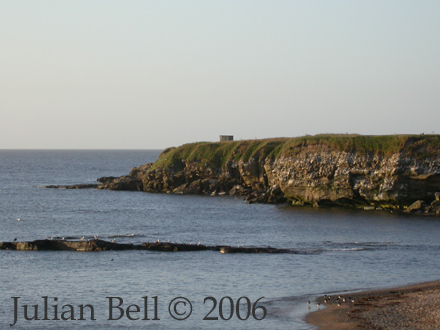 Newbiggin is a short drive north of Newcastle-upon-Tyne and is probably the best place for seawatching in the county. It is also famed for the number of rarities that turn up there, either at "the mound" or along the Golf Course. 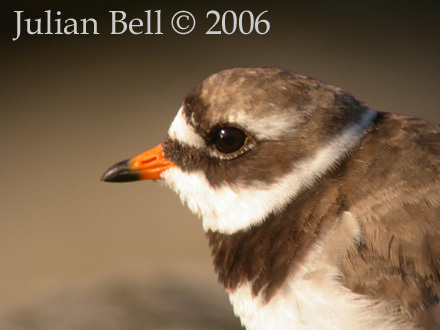 Its proximity to Newcastle makes it a popular place among the many birders in the area. A typical day at Newbigigin starts at Church Point with seawatching. On a good day one won't get any further than this. Normally a couple of hours will produce enough of interest and the next step is to head along the beach or the Golf Course checking for waders and passerines. "The Mound" is on the inland side of the Golf Course next to some allotments -it has attracted more than its fair share of rarities over the years. 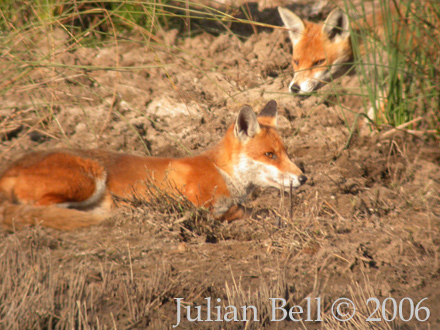 Some more detail regarding seawatching at Church Point can be found here. There are a number of other localities in the Newbiggin area which are also worth checking if one is in the area. These include Woodhorn churchyard. 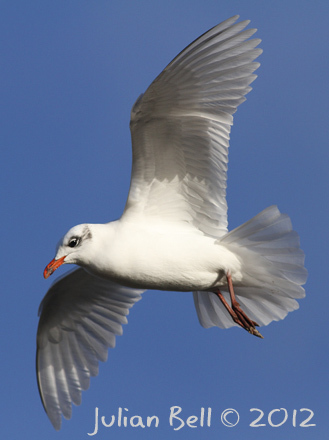 One of the speciality species at Newbiggin in Mediterranean Gull which is very regular along the promenade. Other regulars include Roseate Tern (which come from the breeding colony at Coquet Island to the north), Manx Shearwater and Sooty Shearwater. During a 2 minute scan of the sea immediately after this picture was taken 8 Manx Shearwater and 2 Roseate Tern flew past! 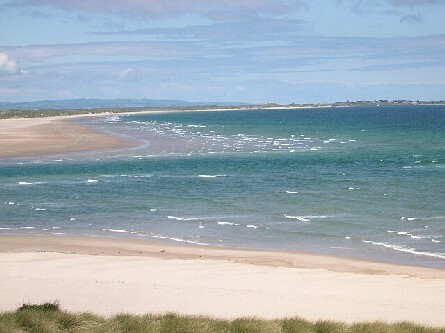 Druridge Bay is worth visiting at any time of year. There are a number of nature reserves and other sites to explore which give plentiful opportunities to see and photograph both migrant and breeding birds. 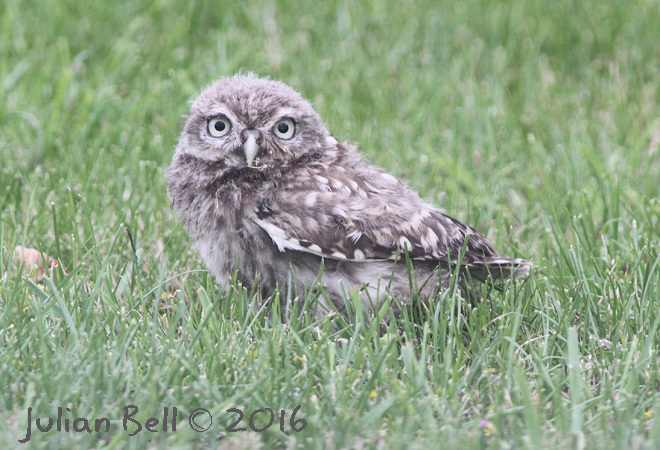 It is not just birds that can be seen in Northumberland - there is plenty of other wildlife to be seen. High resolution versions of most images on this website are available. Please Contact Me for further details or other enquiries.